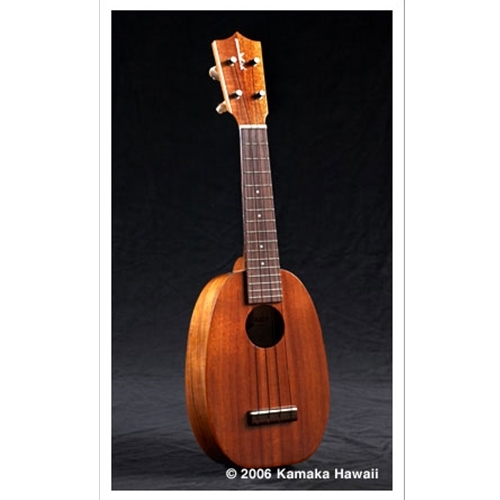 Kamaka's signature ukulele, designed and patented in 1928 by Samuel K. Kamaka. The Pineapple has a unique, oval-shaped body and produces a resonant, mellow sound distinct from the traditional figure-eight. The HP-1 is Kamaka’s traditional pineapple soprano size ukulele. Solid koa body and neck. Rosewood fingerboard and bridge. Gotoh UPT planetary ukulele tuners for smooth, accurate tuning. Includes deluxe hard case.